Canada Media Fund: $9.5M in Digital Media Funding | Mentor Works Ltd.
Twelve media companies operating out of Canada have received Canadian government funding for their interactive digital media projects. The awarded projects will include eight games, two software applications, and two rich interactive media applications. This funding has become available through the first round of the Canada Media Fund (CMF) 2018-2019 Experimental Stream – Innovation Program. Canada Media Fund’s Experimental Stream – Innovation Program has invested $9.5M in Canadian government funding to twelve digital media projects. Canada Media Fund’s Experimental Stream – Innovation Program supports software prototyping, production, and marketing projects. Through the program, software and digital media developers can turn ideas into market-ready products and repay project costs once the project’s results can be commercialized. These projects awarded are in the Funding Decision stage, as they have qualified for Canada Media Fund support, but have yet to finalise all contracts. Twelve interactive digital media projects have received Canadian government funding from the Canada Media Fund Experimental Stream – Innovation Program. The chosen projects to receive funding include two interactive media applications, eight games, and two software applications. Leading-edge software companies in Canada will receive up to $9.5M in digital media funding. Afterlife – Signal Space Inc.
($338,087) Afterlife is a live action, three-part interactive film about a family dealing with the loss of their son. The films storylines branch out based on which objects the user interacts with and is experienced through the eyes of the deceased boy’s ghost. Be Curious – Cream Digital Inc.
($900,000) Be Curious is a virtual reality game where players are part of a virtual world containing all human knowledge and can travel anywhere in space or time. After all the world information is deleted, users must recreate some of the world’s greatest moments in history and science as they leap from problem to problem throughout time. Deceive Inc. – Les Studios Sweet Bandits Inc.
($728,544) Deceive Inc. is a first-person multiplayer game that immerses players in the world of international espionage. Players take on the role of secret agents and are sent on top-secret missions all over the world to fight for a common goal with other players online. ($450,000) Impressview is a B2B solution using unique technology to quickly and easily remove backgrounds from any video, making it easy for users to create engaging, high-quality videos. Their patent-pending ABR technology uses facial recognition algorithms to track a subject’s movements and separate them from the background with high precision. Lucid – Shaftesbury Lucid Inc.
($900,000) Lucid is a deep narrative and virtual reality game taking users through human nightmares, pop horror conventions, and mythical landscapes guided by LUCID or “Lou Lou.” The game also features a novel P2P mode available through an iOS companion app, where users can drop their friends into a VR nightmare they can control in real time. Micromag – URBANIA Studios de Création Inc.
($663,703) Micromag is an editing and publishing platform for creating interactive, mobile-optimized, short interactive formats accessible from any browser or custom native mobile application. Mirador – Studio Sauropode Inc.
($900,000) Mirador is a three-dimensional exploration and creation real-time RPG game taking players into a mysterious world and the ruins of ancient civilization. Depending on what players find, they are guided to create powerful opponents by assembling components and elements gathered on their missions and then customizing them using skill cards and gems. Occam’s Razor – Secret Location Inc.
($1,000,000) Occam’s Razor is a murder mystery-themed escape room designed for warehouse-scale, free-roam Virtual Reality for up to eight players. Groups of up to eight players are in a locked room with a dead body on the floor and no answers or authorities in sight. During the 30-minute playtime, players explore the space using four distinct tools that allow extrasensory insights into the scene. Project: Generations – Caledonia Games Ltd.
($847,275) Players find themselves in the near future, where an ecological collapse has doomed Earth and the remnants of humanity have chosen to flee the planet in search of a new beginning beneath the light of some distant star. Players are members of the Council responsible for the tens of thousands of lives aboard this starship. In order to avoid a social breakdown, players will have to solve crises and wrestle moral and societal values for the survival of the entire ship. Session – Studios crea-ture inc.
($913,069) Session is inspired by the early ‘90s to early 2000 skateboarding era and focuses on the authenticity of street skating, both in the way the game feels and is presented to the player. The game will feature an extended video editor that will allow players to perform their tricks, edit, and create a montage while in-game to be shared through all the most popular social media platforms. TANDEM – Connected Realities – Clever-Plays Studio Inc.
($900,000) TANDEM is a two-player cooperative video game developed for PC, PS4 and Xbox One. The first player is a hacker, who operates in the virtual world of computer networks, and the second is a field agent, navigating city streets to find clues. In order to progress in the game, they must verbally communicate with each other and synchronize their actions. Timber – 4482026 Canada Inc.
($900,000) Timber is a mix between a multimedia show and a video game. The game takes place in a universe inspired by the legends of 19th century lumberjacks and log drivers, men who would leave their families each winter, and survive in the forest and on dangerous work sites to earn their living. In order for these men to get the job done, players must work together to take on tasks such as bringing down trees and building tools. The Canada Media Fund: Experimental Stream – Innovation Program is a Canadian government funding program directed towards software developers who create and commercialize interactive digital media products. The Canada Media Fund: Experimental Stream – Innovation Program offers up to 50-75% of project costs to a maximum $250k-$1M in repayable/recoupable digital media funding. Projects eligible for funding include innovative interactive projects in Web 2.0 or higher, software apps, mobile apps, virtual reality, and video games. The current deadlines for the Canada Media Fund: Experimental Stream – Innovation Program are September 25, 2018 (Production) and November 6, 2018 (Prototyping and Marketing/Promotion). Prior to applying, applicants should have a clear understanding of how products will be commercialized and how the Canada Media Fund will be repaid for its original investment. Software developers interested in applying for the program must develop a detailed application and submit it by an upcoming stream-specific deadline, as mentioned above. Application forms can be found online via CMF’s website. CMF Experimental is one of the many Canadian government funding programs available to software developers. 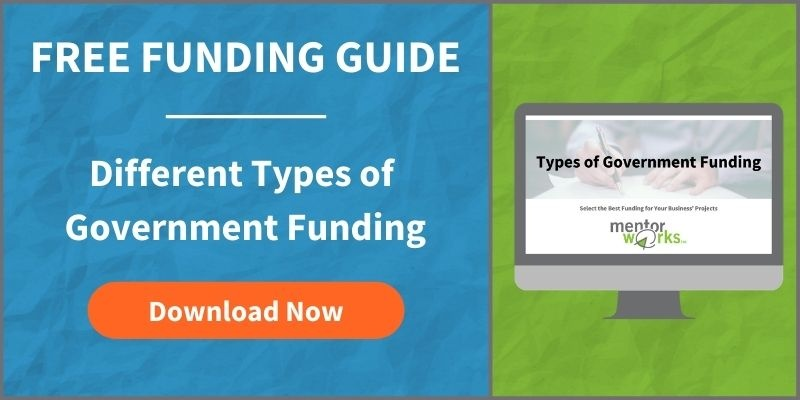 To learn more about project financing options, please download the Types of Government Funding slide deck.